National Intelligence and Security Services (NISS) officials have charged Yat Michael and the Peter Yein Reith (also transliterated as Peter Yen Reith, pictured) with undermining the constitutional system (Article 50 of the Sudan Penal Code) and spying (Article 53) – offenses punishable by death or life imprisonment – and waging war against the state (Article 51), which calls for the death sentence, said the pastors’ attorney. 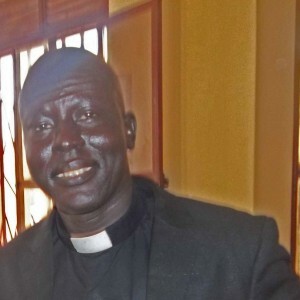 Michael was arrested on Dec. 21, 2014 after visiting a church service in Khartoum, and Reith was arrested on Jan. 11 after submitting a letter from leaders of their denomination, the South Sudan Presbyterian Evangelical Church (SSPEC), inquiring about the whereabouts of Michael. NISS officials have demanded $12,000 from the SSPEC secretary general, Philip Akway Obang, for the release of the pastors, sources said. Local church leaders expressed their outrage at the attempt to buy the pastors’ freedom, saying they fear NISS would arrest other Christians and make the same demand in exchange for dropping charges. On Oct. 5, 2013, Sudan’s police and security forces broke through the church fence, beat and arrested Christians in the compound and asserted parts of the property belonged to a Muslim investor accompanying them. As Muslims nearby shouted, “Allahu Akbar (Allah is the greatest),” plainclothes police and personnel from NISS broke onto the property aboard a truck and two Land Cruisers. After beating several Christians who were in the compound, they arrested some of them; they were all released later that day.